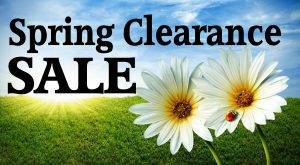 For the latest in promotions and sales at our vision center, click here. View Our Holiday Hours: We wish all our patients a happy holidays! Join us for our Sunglass Try On Event, and you could win a gorgeous bracelet. Entries accepted until December 20th. Only on Thursday November 30 & Friday December 1, Valley Vision is announcing incredible savings on Costa Sunglasses, Gold & Wood Frames, OYOBox, Oakley, RayBan and more. Our Fall Frame Sale Is Here! We are excited to announce our fall frame sale, up to 50% of frames! Look great and feel great about saving some money with popular frames from amazing designers like NW 77th. Globally 600 million people live with visual impairment simply because they cannot afford glasses and an eye exam, together we can make a difference. 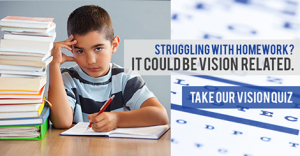 Children's eyes should be evaluated on a regular basis just like going to your family doctor or dentist. It's recommended that children see the eye doctor at 9 months, at 3 years and then again before entering school. Regular annual visits are recommended from that point forward. Hundred of frames to view and try. Check out the designer collections. They're all 50% off. Plus, receive a complimentary upgrade to Sensity/Transitions with any HOYA lens purchase. June 29th to July 3rd 2015 we're giving away FREE sunglasses for kids 5 and under. Visit the clinic for your free pair. Join us on Thursday May 7th for our ONE DAY Sale. There will be hundreds of frames to view and try for men, women, and children. Brands include Juicy Couture, Tommy Hilfiger, Lulu Guinness, Tura Elegance, Ted Baker and more. UV Groovy Days are back. 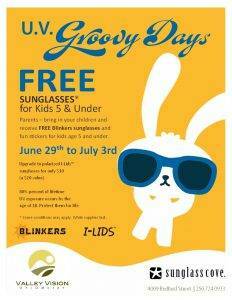 Come in for a pair of FREE sunglasses for kids 5 and under during our UV Groovy Days. June 23rd to July 4th, 2014. There's lot of ways to help us raise funds for the Annual World Sight Day Challenge. In addition to donating our non-MSP exam fees from October 10th 2013, we are also fundraising all month long. We are pleased to have Alex Glassey back in the Valley on Nov 21st and Nov 22nd for a 2-Day workshop on Creating a Business Strategy for Small Business.